From sunny Seville, Spain, WuzOne draws inspiration from graffiti, typography and cartoons. He has developed an identifiable style known for clean lines, bright colors and high contrast. 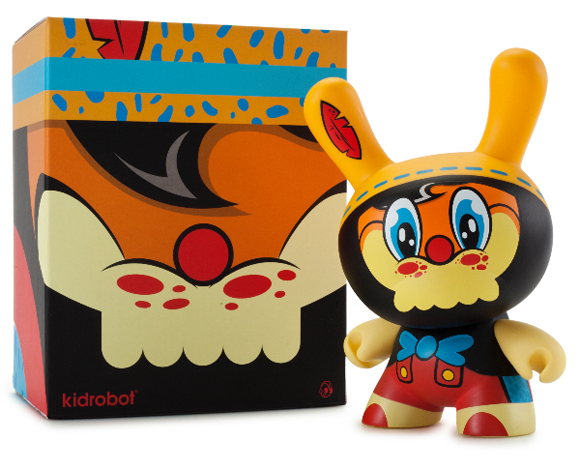 Kidrobot has long been a fan of WuzOne’s brilliant designs and customs. 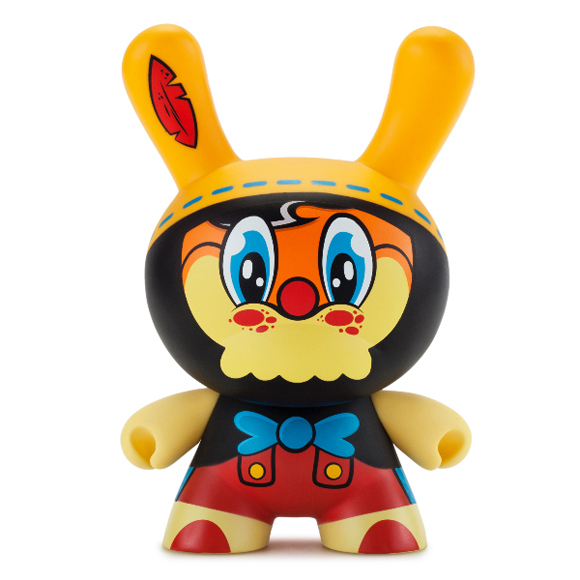 For his first ever Kidrobot production piece, The Wuz takes inspiration from a truth-challenged marionette and presents the No String on Me 8” Dunny! “This design is an example of what I have painted for seven years and also my current line of work. I have always attached great importance to the clean lines, bright colors and high contrasts. I am happy to finally have a production piece that will reach everyone. I think this Dunny will be a breath of fresh air anyone’s collection.” said WuzOne on his No String On Me piece. No Strings on Me will be available for the first time at Kidrobot’s San Diego Comic Con booth #5645 in limited quantities. No Strings on Me will retail for $60.